Amazon drops a full-length trailer for the sophomore season of Comedy Series winner, The Marvelous Mrs. Maisel. Miriam ‘Midge’ Maisel wants her comedy career to be big. It’s almost as if she didn’t know that her own series won 8 statues at this year’s Emmy Awards. She’s well on her way. 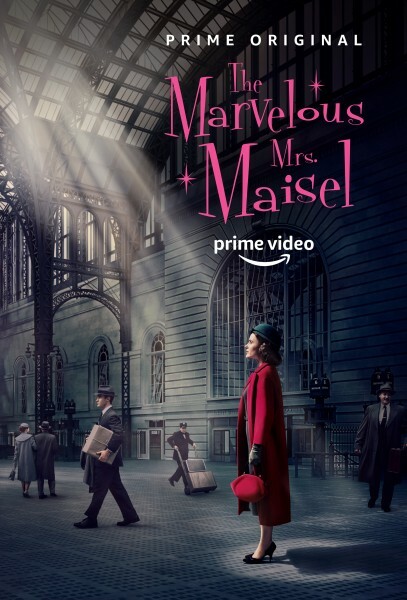 Amazon dropped a new trailer and poster for the Amy Sherman-Palladino comedy series, and they also revealed that it will return on December 5th. It appears that Joel and Miriam continue to work on their post-split life, and Miriam is laser focused on her career. Middleburg Film Festival: Interview - Roma's Yalitza Aparicio On Auditioning For Cuaron. "We thought it could be human trafficking"